Moving is one of the worst things and pains that many families have to do every year either with a moving truck or cargo van. Moving into a new home or space is such an exciting time, but getting your stuff to your new location is never fun. Luckily for you, we have a few easier options to help ease the pain. 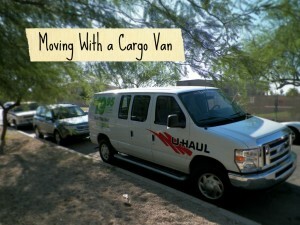 A moving van is too big and a moving crew is too pricey for the average family. However, now you can rent a cargo van and do it yourself! There are rental locations around the US that make cargo van’s easy to rent for your family’s move to the next street or the next state. Cargo vans are the new choice when it comes to moving. They are both versatile and are not bulky in size, which makes them easier to drive. Also, the biggest part is you’re saving money for not hiring a company to do it all for you. A student moving to the city after college or a small family moving for the first time can both enjoy the size and comfort of the cargo van. The van on average has around 300 cubic feet of space and is able to be rented for as low as $20 a day. Renting the cargo van can be even cheaper through coupons that are regularly posted on company websites and also through AAA. Distance is also something to not worry about. If you plan on going long distance, you can rent the van for unlimited miles. When you rent for unlimited miles you should rent through larger, national companies because they will have places for you to drop off the van in most cities. This will save you the time of having to bring it back. Also, you can just rent the van for the day if it is a short commute. The biggest companies to rent these cargo vans through are Budget Truck Rental, Enterprise, Penske Trucks, U-Haul, Avis, and Ryder. No matter the company or the distance, sometimes it is just better to do it yourself!